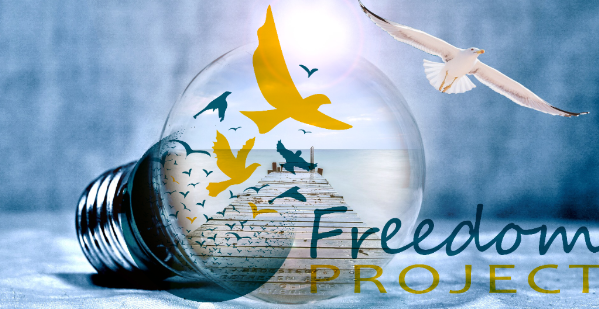 On the day after Christmas a Freedom Project facilitator asked a group of women at the prison in Gig Harbor, “What can you appreciate about yourself today?” Cathy, a bubbly 21-year-old who had landed in the segregation unit for fighting, offered a story from her previous night. She told us about Margaret in the cell next to hers. Margaret struggled with recurring nightmares in which she relived her trauma of being raped. Every night as soon as she fell asleep, the nightmares would come back and Margaret would alternate between crying, screaming, and shouting obscenities, keeping everyone awake. Cathy’s first impulse was to yell at Margaret, “Shut the f—- up, b—-!” But the nightmares continued. So, after several sleepless nights, Cathy tried to apply a tool from her Mindfulness class. “No, no. It’s a meditation,” Cathy laughed. “No, thanks. That won’t help,” said Margaret. Cathy persisted. “You’re gonna get it anyway. Listen to this.” And Cathy proceeded to read a loving kindness meditation that she had learned from Tami, a Freedom Project volunteer who had once been locked up at the same prison. Cathy started reciting, “May I be filled with loving kindness, may I be well.…” For the first time in several days Margaret’s nightmares did not return, and everyone around her had a peaceful night. It was Christmas.